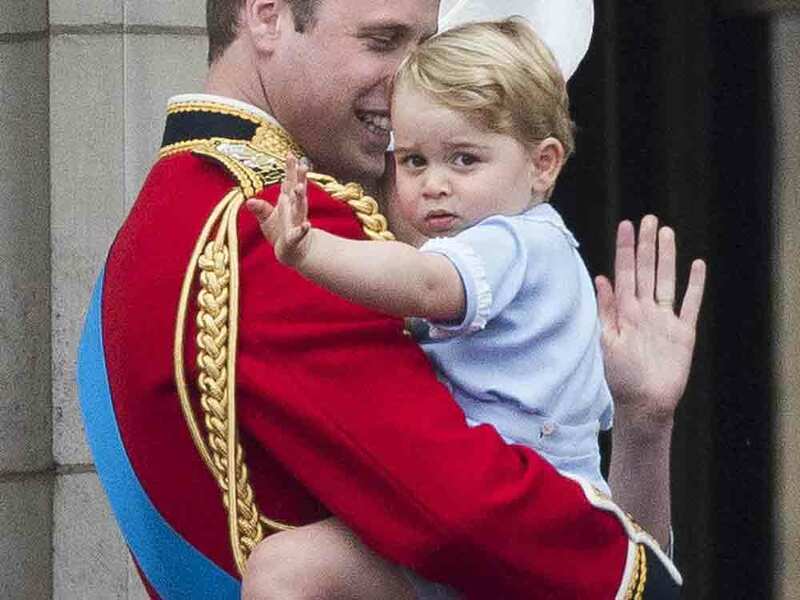 Prince George of Cambridge, you are adorable. Prince George, what a cutie you are. It was supposed to be the Queen’s big day, but the little Prince managed to completely steal the limelight from his grandmother – not to mention his parents, the Duke and Duchess of Cambridge, over the weekend. 1. A room with a view. 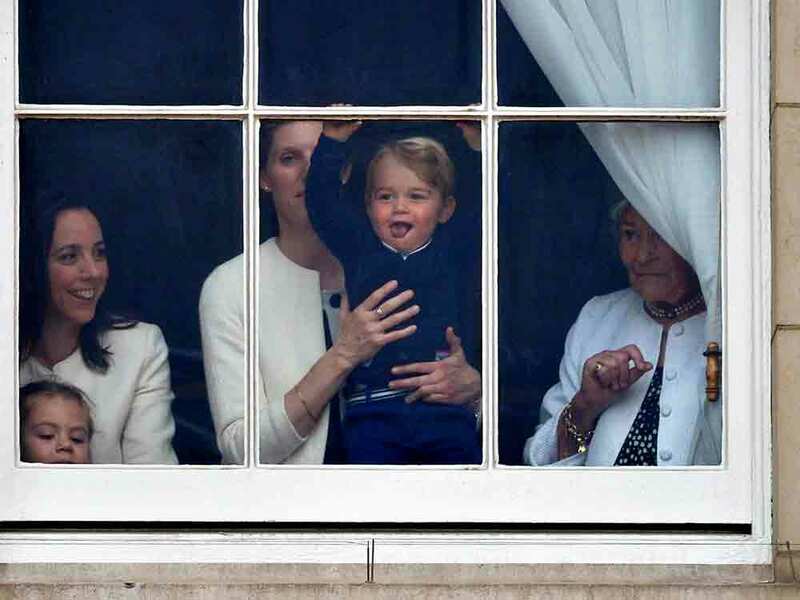 Prince George couldn’t contain his excitement as he watched his family take part in the Trooping of the Colour ceremony from an upstairs window inside Buckingham Palace on Saturday. The two-year-old clapped, smiled and poked out his tongue in the arms of his nanny, Maria Teresa Turrion Borrallo, as he watched over 1,000 soldiers take part in the spectacle. Prince Charles, Prince William, Prince Harry, Princess Anne, the Duchess of Cambridge, the Duchess of Cornwall, as well as Princesses Beatrice and Eugenie all took part in the Birthday Parade, but it was gorgeous George we all wanted a glimpse of. 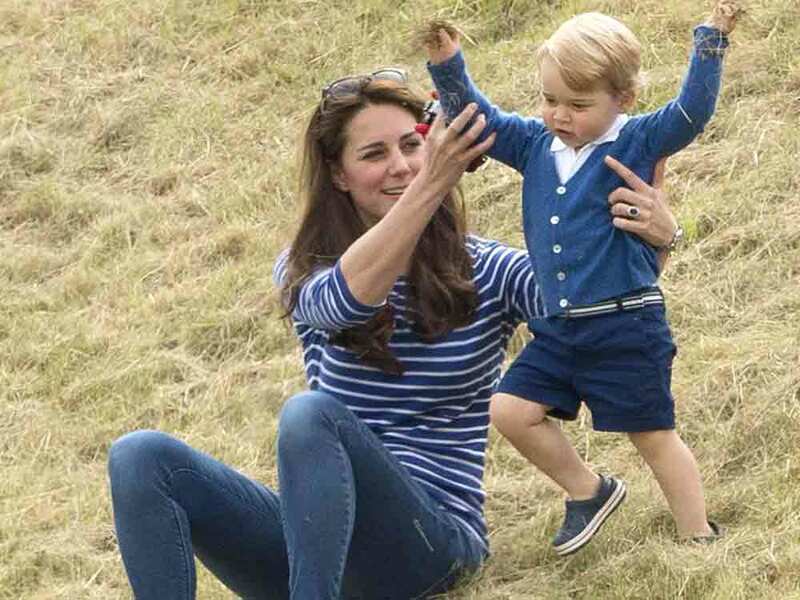 After all the excitement of the Trooping of the Colour, it was time for little George to let off some steam as he watched his dad, Prince William, and Uncle Prince Harry take part in the Gigaset Charity Polo Match at the Beaufort Polo Club on Sunday. The tot kept Kate, who was making her first public appearances since giving birth to Princess Charlotte, entertained with his dance moves, football skills and general fabulousness.